Pages : 136, numerous ill. 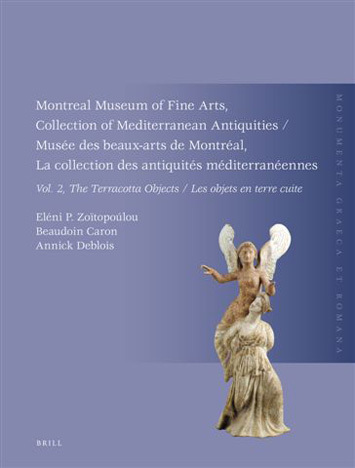 This catalogue raisonné describes the lamps and statuettes in terracotta of the Montreal Museum of Fine Arts, to which are added two lamps made of bronze. The collection, small but eclectic, has mostly been assembled in recent years and represents a wide variety of types in these two categories. After an introduction discussing the techniques involved in the production of these objects, the catalogue properpresents 44 lamps, 21 figurines and a single arulawith full illustration. This catalogue makes the collection available to a wide readership: students, curators, archaeologists, art historians, collectors and everybody with serious interest in the material culture of the ancient world. This is the second volume of a series intended to make public the different parts of the museum’s collection of Mediterranean antiquities.